My school is having 'Right to Read' week this week and the teachers were all busy changing their bulletin boards and classroom decorations for all of the fun activities that are planned for the children. My camera is all charged for LOTS of pictures I will take tomorrow. I will share them with you later in the week. Are you all ready for summer? Things sure do get crazy at the end of the year don't they? I have been busy working on my graphics and blog designs. You can check out my newest blog makeovers on my design blog, Uniquely Yours Blog Designs. My daughter and I made some free fonts using the iPad and they are available there as well. I would LOVE for you to follow me there and leave a comment if you grab the free fonts. I also drew this little cutie for my friend Maggie. Isn't she adorable? I priced it on sale today for $2.50. It includes 27 colorful clips!! Oh, and did I mention? If you follow my Facebook Fan Page you can grab the Flower Clip Art for FREE!!! Yep, it's true!! 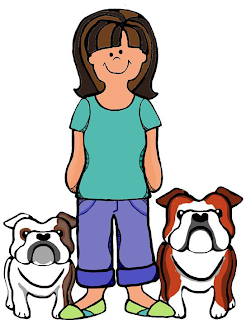 Click on the 'Fan Freebie' tab I just added to my Facebook page and it will take you to the free clip art link. 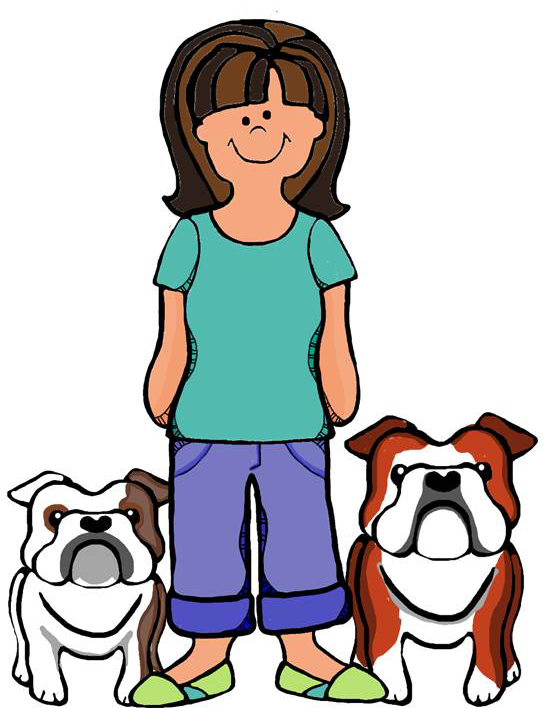 I love my mini-me and my bullies so much! Mozart and Olivia have never looked better! Thank you Nancy!